Many good people who have never fought in a war find something appealing in America’s willingness to take more casualties in order to spare innocent civilian lives. For those, like me, who have been in combat, the choices at hand look somewhat different. Consider the following likely scenario. A platoon of Marines is patrolling an area in Afghanistan. To avoid IEDs, the Marines stay off the roads and advance through a field. At the edge of the field is a row of huts. Suddenly, two Marines are hit. The Marines take cover, although there is little to protect them in the open field. Another one is hit. The snipers’ fire is clearly coming from the huts. The Marines are fully prepared for such a situation, having positioned artillery and tanks nearby before they took to the field. Their platoon leader calls for the huts to be shelled. But a higher ranking commander disagrees; he fears, with good reason, that there are civilians in the huts. 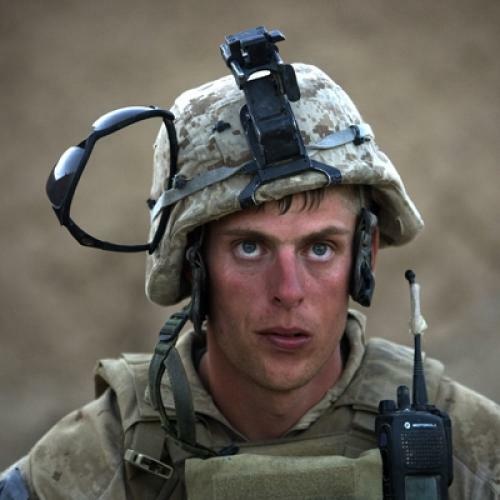 The platoon leader is bitterly disappointed, but orders are orders— and, hence, he instructs the Marines to get up and storm the huts. On the way, the Marines take more casualties. When they finally reach the huts, the platoon leader reminds them that, under the rules of engagement, they must first call on the residents to leave before they can attack. These warnings give some snipers ample time to move on, while others fire a few more rounds. For the past year, U.S. troops in Afghanistan have been operating with such constricting rules of engagement. The idea, put forward by former American commander Stanley McChrystal, was that we could not wage a campaign for hearts and minds if we were killing many innocent Afghans. Under these rules, American soldiers have sometimes been ordered not to fire until they are fired upon, and it is harder for them to get permission for an airstrike. An officer of the Fifth Stryker Brigade explained to me that all the rules can be set aside if soldiers claim that they had to do so in selfdefense. However, few are willing to risk being reprimanded, let alone court martialed, and all pay mind to the “climate” that the rules of engagement foster. Now, America’s new commander in Afghanistan, David Petraeus, is considering revising these rules. It’s a wise idea. Restrictive rules of engagement do little to win hearts and minds. And the key to minimizing casualties, Afghan as well as American, lies elsewhere: in finding a way to stop fighting this war. The source of our dilemma surrounding the rules of engagement is not the way we fight but the way our opponents fight: Insurgents are violating the rules of war, while demanding to be protected by them. The rules and traditions of war directly address the issue at hand—by requiring those who engage in warfare to separate themselves from the civilian population. Fighters are to wear uniforms or some other insignia that clearly mark them (and, by the way, the authority, typically a national government, that is accountable for their acts). Their vehicles and bivouacs are also to be clearly separated from those of civilians. What is at issue here is not a small matter of a logo on one’s hat or sleeves. It is a matter of enabling adversaries to separate the fighters from the civilians and to spare the latter. Insurgents and terrorists in many parts of the world have discovered that, by violating these rules of war, they gain major advantages. They fire on soldiers from residential areas, store ammunition in mosques, and employ ambulances to transport bombs and fighters—in all these instances, using civilians as human shields. Hamas, Hezbollah, and the insurgents in Iraq and Afghanistan are among the many who practice this form of warfare. Indeed, a recent report reveals that, as the Taliban learned about the new rules of engagement, they increased their use of civilian homes as posts from which to fire at our troops. The main responsibility for causing civilian casualties, in short, is on the Taliban. Yet, for reasons I cannot fathom, instead of making this case whenever civilian casualties take place, American generals apologize time and again. I am not against expressing regret about the loss of life, any life, including those of the Taliban. However, in this context, the generals who speak for America, nay, for the free world, reinforce the precept that the casualties are our fault, period. We ought to be clearer in our own minds, and more articulate in addressing others, about why innocent civilians are killed and how such deaths can be minimized. Moreover, even setting aside the use of human shields, the Taliban cause many more civilian casualties than the Americans because they often set out to deliberately kill innocent Afghans, attacking mosques, weddings, and funerals. If counterinsurgency theory were correct, and body counts made a significant difference in the competition for hearts and minds, then the Taliban would have no supporters left. The notion that what is at issue are statistics ignores other realities—especially the ethnic loyalties of the Pashtun, who are the Taliban’s kin and who live in Afghanistan’s most contested area. It also ignores, or at least underestimates, the role of communication. The Taliban have been astonishingly successful at escaping blame for the civilian deaths they cause. Like our generals’ repeated failure to forcefully point out that terrorists use human shields—and that accidental civilian deaths are, therefore, usually their responsibility—this problem can be countered not by changing the statistics, but by changing those in the Pentagon who are in charge of communication aimed at Afghans. None of this is to suggest that we should take civilian casualties lightly. Even if killing innocent civilians is not the prime problem with our strategy, it is still—for moral reasons—deeply regrettable. We can and should seek to minimize such fatalities by improving our intelligence and learning more about the local culture. However, we should not ignore that the main moral turning point is before we commit to fighting. We should heed one of the central principles of just war theory: Never wage war unless all other means have been exhausted. This principle suggests that we should also discontinue fighting when other options are available. Thus, instead of asking our troops to fight this war under rules that increase our losses in the vain hope of gaining popularity, we should offer to withdraw our forces as long as the Taliban agree not to harbor terrorists who threaten us or our allies. And we should make clear that our bombers, drones, and Special Forces will stand by to punish those who violate this understanding. (A similar position has been advocated by Vice President Biden.) If the Taliban honor this agreement, it will mean an end to the war and, of course, to civilian casualties. If not, then we will have to fight. However, in that case, even as we do our best to limit collateral damage, let us also ensure that our troops are not constrained by excessively strict rules. Amitai Etzioni is a professor of international relations at George Washington University and author of Security First.